Medilink takes corporate social responsibility (CSR) seriously and is mindful of the local communities we partner and the environments in which we operate. For us, CSR is more than raising and disbursing funds to causes; we get down to work with those on the ground, giving of our expertise and manpower to ensure any project we’re involved in delivers on promise and is of practical benefit to the local community. 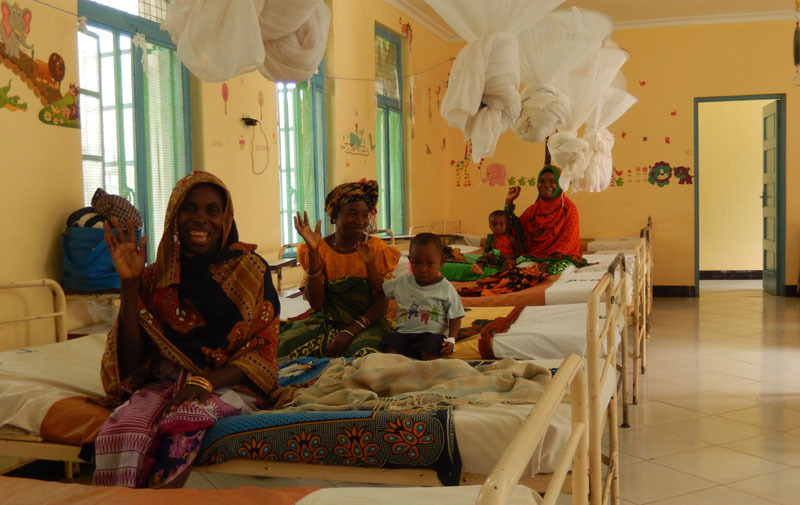 One such project that we’ve been overseeing recently is the upgrade of paediatric and maternity wards in Ligula Hospital in the Mtwara region of Tanzania. Thanks to Medilink International donations at Christmas 2016, one of the main paediatric wards was given a much-needed renovation under the supervision of our local staff medic William Clowery, who is based in the Medilink Mtwara clinic. Ligula hospital is a main regional hospital for Mtwara region, serving a population of over 1.3 million people. It provides a wide range of health services to the community including medical, surgical, obstetric and gynaecology, and paediatrics. As a referral hospital, it plays a key role in the region, receiving patients from four frontline hospitals as well as a networks of health centres and dispensaries. So far, our Medilink CSR in Tanzania has provided the Ligula wards with new equipment such as baby aspirators and a suction machine as well as dealing with plumbing repairs and interior decoration. In addition, we’ve supplied newborn clothes and receiving blankets. The facelift has created a welcoming atmosphere in these wards, conducive to the well-being of both mothers and children. In addition to our involvement in infrastructural work, Medilink is committed to furthering our support for Ligula Hospital, both for its staff and patients. To this end, we are running training sessions on Emergency First Aid at Work (level 2) for hospital staff in the coming months. We started operations in Tanzania in 2012, providing a range of medical and health and safety services across the country from our Mtwara International Dispensary. Our presence in Tanzania provided at that time the only locally-registered clinic offering international standards of medical support for clients in the onshore and offshore oil and gas infrastructure sector in the region. Over the past five years, we’ve expanded and now offer our remote and clinic-based medical assistance services throughout Tanzania. Are you looking for Medical Assistance in Tanzania, or elsewhere in Africa? 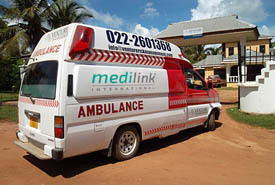 Find our more about Medilink in Tanzania and feel free to contact us with your international medical assistance requirements in Africa or worldwide.